If you’re looking for the best Amazing Acrobats of Shanghai coupons, you’re in the right place! 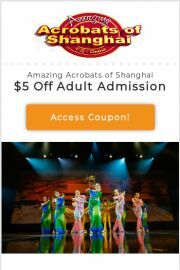 The Amazing Acrobats of Shanghai will take you on an enchanting journey to the Orient, with beautiful costumes, gorgeous backdrops and unbelievable acrobatics! Each acrobat brings their unique talent and training to the show; from chair balancing to foot juggling, aerial acrobatics to mask changing. Everyone is sure to love the amazing performances and carefree laughter shared throughout the show. 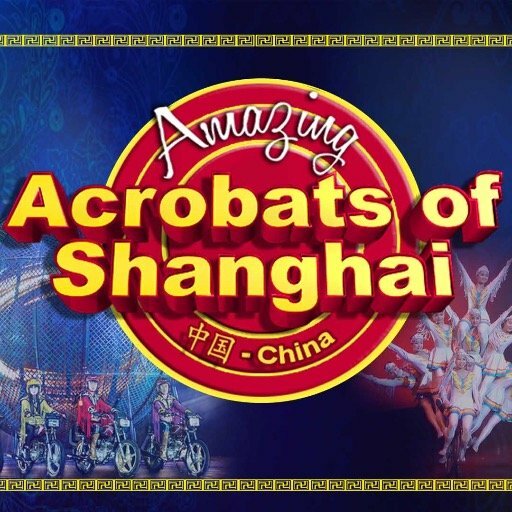 The Acrobats of Shanghai will show you feats of strength, energy, endurance, grace and flexibility as well as entertain you through a 2 hour show. This group of China’s best and most elegant athletes, trained to perform these amazing stunts will have you on the edge of your seats! The beautiful colors, amazing backdrops and incredible skills of the acrobats combine to make the “Amazing Acrobats of Shanghai” the perfect family show!